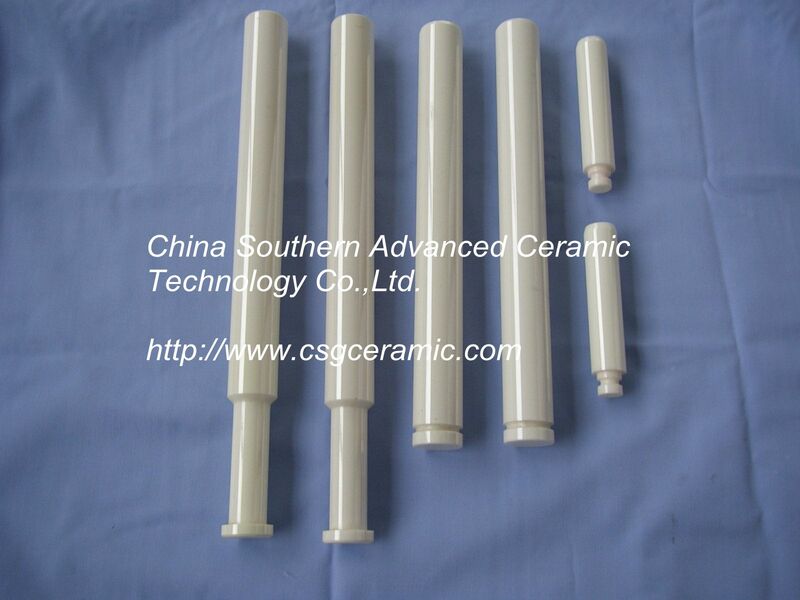 Zirconia Ceramic Plunger,CSG00098,Zirconia Ceramic Plunger,China Southern Advanced Ceramic Technology Co., Ltd. The anti-pull-off ceramic plunger is another high-tech patent product of the company. Compared with metal plunger, ceramic plunger solved the problem of bad corrosion and wear resistance and short service life. Compared with existent ceramic plunger, Orient Zirconic's anti-pull-off ceramic plunger solved the problem of easier pull off of metal from ceramic. • All of the surface for contacting the media and working are ceramic. • Plungers are connected with metal handles mechanically, and the viscose glue is filled between them to prevent the screw from getting loose. • 10 times longer working life than metal plunger and also it gives a longer service life to the sealed packing material. • High corrosion and wear resistance and strong impact resistance.